Just as each human being is unique, every person has his or her own personality when it comes to financial matters. Some are spenders, others are savers, a few may be hoarders and so on. 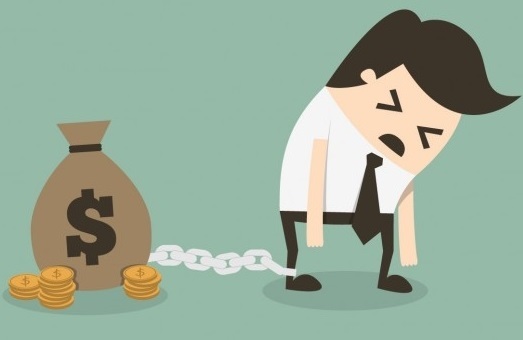 Financial consciousness is commonly overlooked in the areas of economics and psychology, but this discipline can shed light on why some people have money issues and how they can recognize the problem before it gets out of control. Spending habits have drastically changed thanks to online shopping outlets, online banking, and financial/investing websites that are open around the clock. 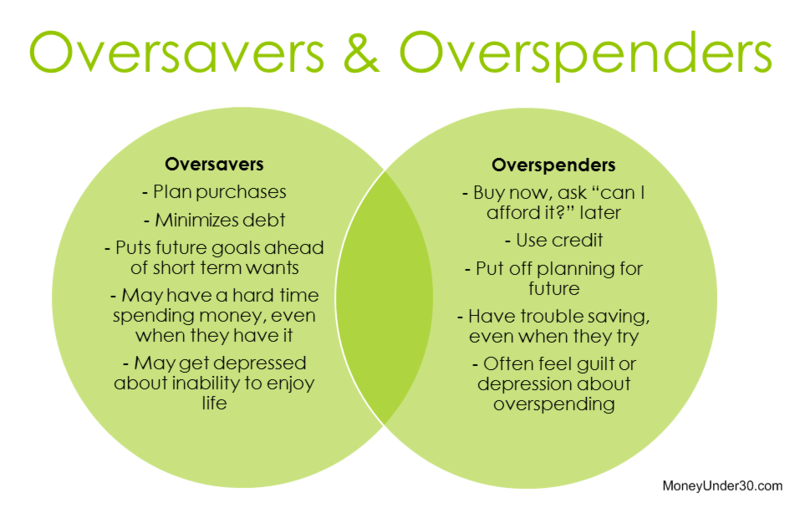 While we may assume it is only “spenders” having financial issues, even some “savers” can use help when it comes to reaching personal finance goals. Today we take a closer look at a four financial personality types, and how to be cognizant of pitfalls that can come with each one. 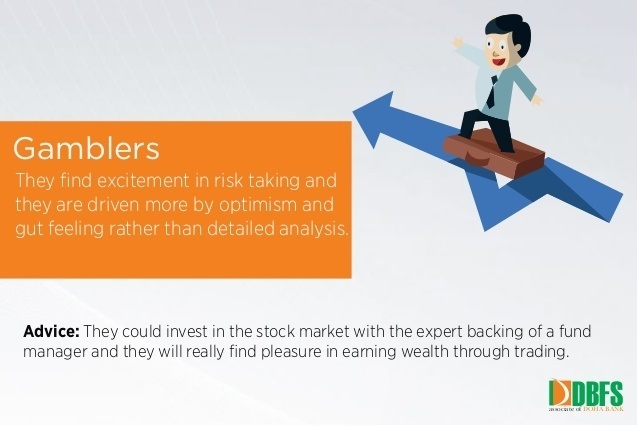 The Daredevil – Risks are nothing to shy away from according to this financial personality type. In many cases, the daredevil mentality is the larger the risk, the greater the potential returns. And while this can be true from time to time when it comes to investments, throwing caution to the wind could also leave you high and dry. On one hand, high-risk investments have a high percentage for not panning out. And, taking risks when it comes to high price tag purchases can land you in hot water later on when you are over budget. The key for long-term success for a daredevil is learning how to keep a healthy balance between risk-taking and being conservative with spending, savings and investing. The Avoidant – This refers to someone who tends to not deal with anything finance-related, pushing things aside for months or years at a time. This mindset can lead to financial documents, accounts, investments, and savings goals to become unorganized. And, for the “ostrich” who is financially secure but has an advisor in charge of funds, he or she may stick his or her head so far in the sand they are completely unaware of what in being invested in and for what reasons. To take charge, commit to spending 30 to 60 minutes at a time organizing financial documents and reviewing accounts. 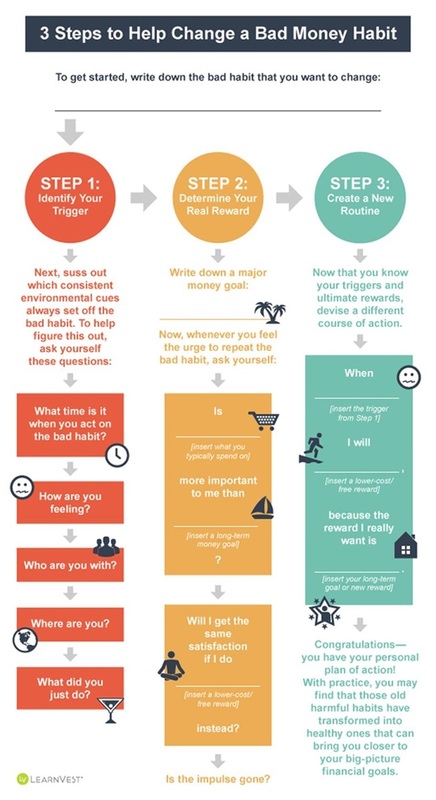 Reward yourself when you stay on task. Over time, you may learn things about where your money is being spent, what fees you are being charged in certain accounts, and in which areas you may be able to save more money. The Waster – Ever hear someone say something to the effect of “Spend now, you can’t take it with you when you die?” The Waster mentality typically lacks savings as money burns a hole in his or her pocket. If you tend to spend more than you earn or have, and have a variety of maxed out credit cards, spending frivolously can lead to numerous financial issues. To have money for a rainy day, retirement, or if a catastrophe occurs, it is a great idea to create a budget and savings plan. A financial advisor can help you take a closer look at your income, expenses and spending potential. You may also want to search for an answer as to why you feel the need to spend constantly, and determine your triggers. A spender’s high can release the same chemicals in the brain as certain feel good drugs, but spender’s remorse can set in afterwards. Stress, relationship or family issues, loneliness or boredom can also be triggers to overspending. The Hoarder – Do you know someone with the squirrel mindset, hoarding money and being extremely frugal? For these men and women, amassing large amounts of money can equal security. The downfall is, this mind frame tends to steer clear of investing for risk of losing money. Instead of accumulating cash, sit down with an experienced and caring investment manager who can show you how you can safely make your money work for you, and build long-term gains.